Since the earliest days of our nation, new communications and transportation networks have enabled vast changes in how and where Americans live and work. Transcontinental railroads and telegraphs helped to open the West; mass media and interstate highways paved the way for suburban migration. In our own day, the internet and advanced logistics networks are enabling new changes on the landscape, with both positive and negative impacts on our efforts to conserve land and biodiversity. Emerging technologies have led to tremendous innovations in conservation science and resource management as well as education and advocacy efforts. At the same time, new networks have been powerful enablers of decentralization, facilitating sprawling development into previously undesirable or inaccessible areas. 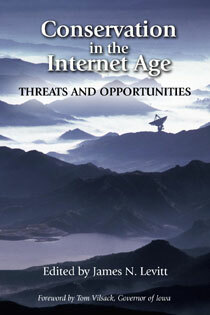 Conservation in the Internet Age is the first book to examine the links among land use, technology, and conservation from multiple perspectives, and to suggest areas and initiatives that merit further investigation. It offers unique and valuable insight into the challenges facing the land and biodiversity conservation community in the early twenty-first century, and represents an important new work for policymakers, conservation professionals, and academics in planning, design, conservation and resource management, policy, and related fields. "Conservation in the Internet Age: Threats and Opportunities provides numerous blueprints for harnessing new technologies to actually improve land-use decisions." "This will be an important addition to public and academic libraries. It will be of value to university students, people who are concerned about conservation, and interested general-audience readers."